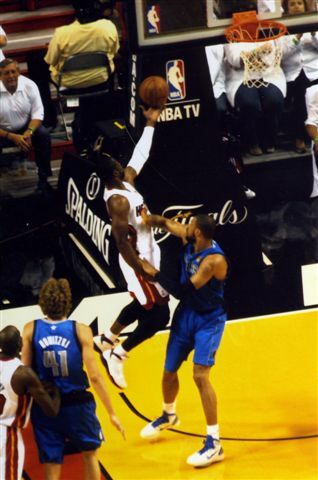 The Heat's Dwyane Wade drives past Mavs' Shawn Marion for a layup in the first quarter. Wade would shoot only 6 for 20 from the field with no three-pointers. 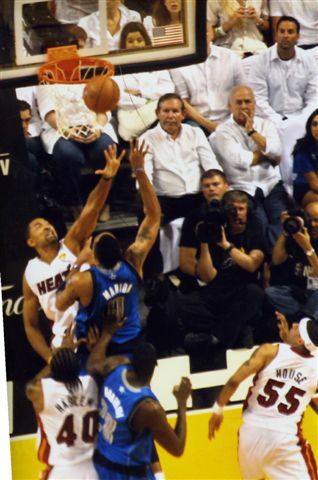 Shawn Marion overpowers Dwyane Wade in the third quarter for one of his eight rebounds. Marion would score 12 points, shooting 4 of 10 from the field and 4 of 6 free throws with no three-pointers. Miami's Udonis Haslem scores a dunk with an assist from Wade. 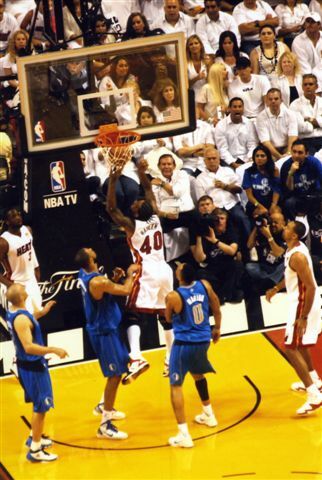 In game 6 Haslem would score 11 points, with four of nine from the floor, three of four free throws and no three-pointers. 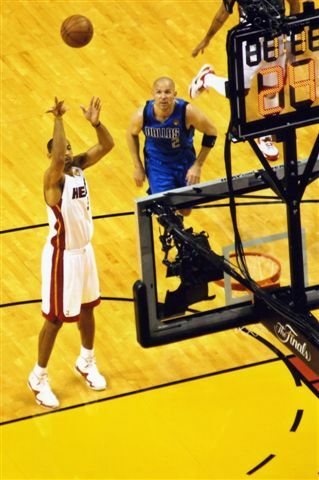 Chris Bosh makes a free throw in the third quarter. 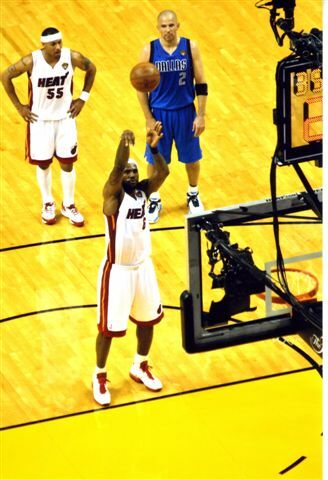 He would make 5 of 7 free throws while collectively the Heat would miss 13 free throws in the team's loss by 10 points. 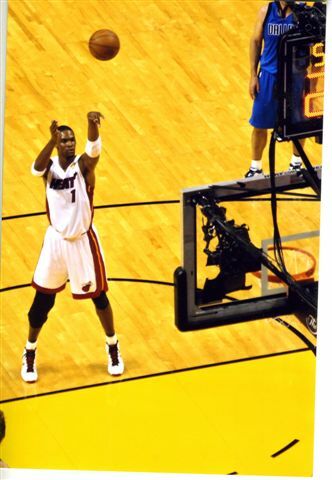 Bosh scored 19 points with 7 of 9 from the field and no three-pointers. Mario Chalmers had a good Game 6 for the Heat with 6 of 9 from the free throw line and 18 points. LeBron James was the Heat's leading scorer with 21 points, missing 3 of 4 free throws, shooting 9 of 15 including two three-pointers.